In 1959, a group of Christian men and women initiated a plan to develop a Lutheran high school in Orange County, CA. In 1960, a non-profit corporation named Lutheran High School Association of Orange County was formed to further these efforts. And in 1973, after years of effort and prayer, with and through the grace of God, Lutheran High School of Orange County started its teaching ministry with its first students. In order to assist with the initial establishment of the school, as well as the ongoing operations, local Lutheran churches worked with the Association and continue to do so to this day. These churches provide prayer, funding, wisdom and guidance and are considered Association Member Congregations. Each of the Association Member Congregations have delegates. The delegates act as liasons between Orange Lutheran and the Member Congregation. The delegates also elect the Board of Directors for Orange Lutheran, as well as address any other matters which require their attention, per the Bylaws. The Board of Directors is the governing body for Orange Lutheran. They oversee and manage all financial aspects and policies including management of the Executive Director and therefore all staff and faculty therein, ensuring compliance with Articles of Incorporation and Bylaws. In the effort to affect the lives of high school students - inside and outside of the classroom - strong leadership is paramount. 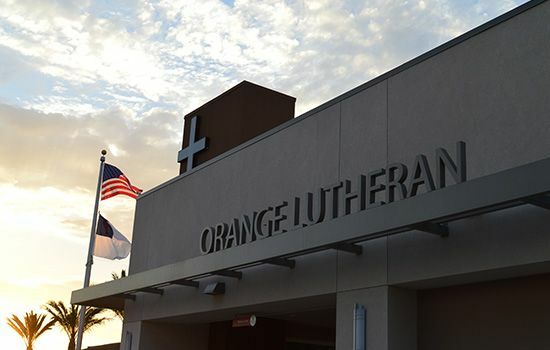 In order to assure the presence of positive and influential leadership, Orange Lutheran employs a system that includes several levels of administration, starting with our Executive Director and Principal, working in conjunction with our Board of Directors and our Association Churches and Schools and their leaders. Read more on our school leadership by clicking the links below.